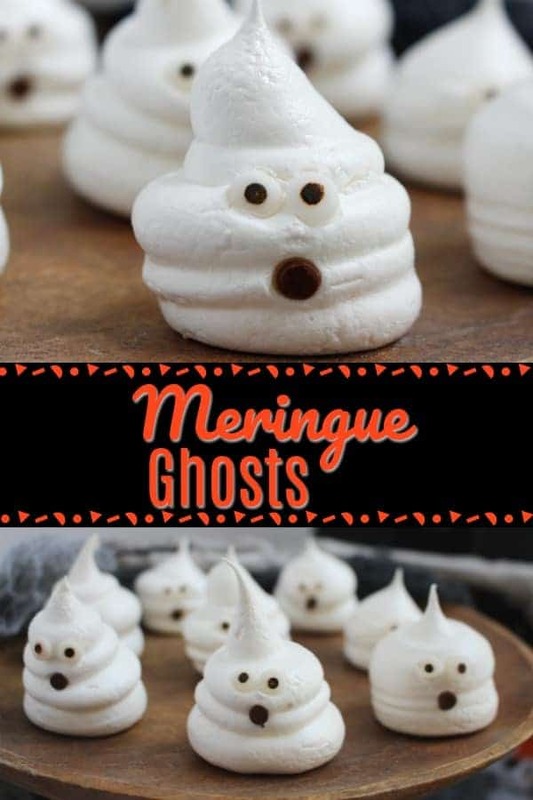 Meringue Ghosts make the perfect easy Halloween Treat! They are nut-free for classroom Halloween parties and low calories for those watching their waistline! The outside of the meringue cookie is light, airy and crisp, while the inside is soft like a marshmallow. 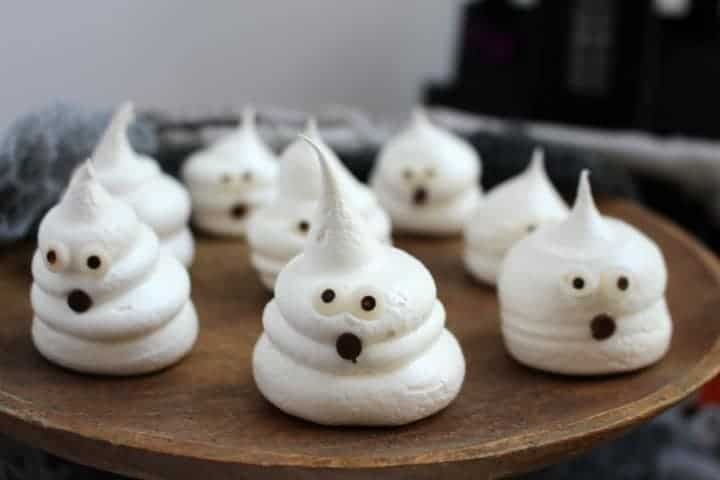 They will love decorating the meringue ghost cookies with candy eyes and mini chocolate chips! 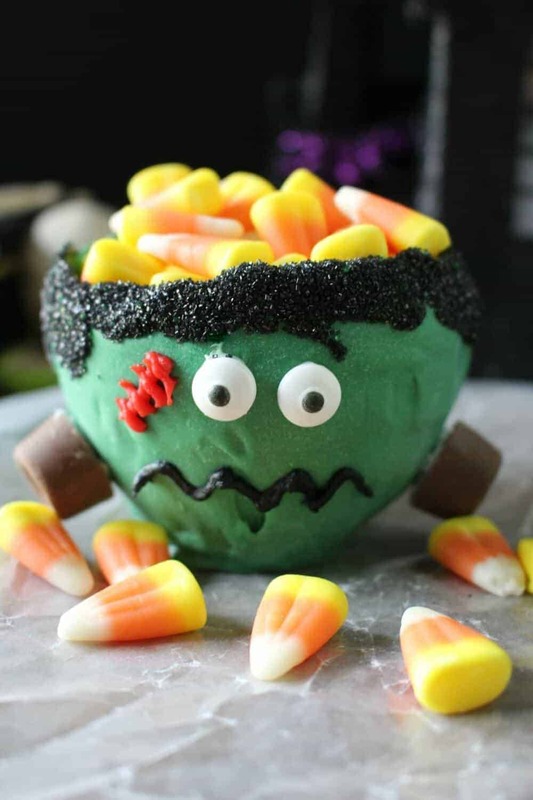 The best thing about this easy Halloween dessert is that no matter how you shape them, they all look adorable! For some reason, people think that meringue cookies are difficult to make. Nonsense I tell you! If I can make them, anyone can! I was new to the meringue cookie game, until I made these Easy Meringue Cookies and now I am totally obsessed with all things meringue! This recipe is so easy and they turn out perfectly every time! You just need to follow a few simple tips. Start with a very clean and totally dry mixing bowl and beaters. Even a little residue or moisture can turn your ghost meringue cookies into an epic fail. When separating your eggs, be really sure that no yolk gets into the egg white (we find it is easier to separate them when they are cold and right out of the refrigerator). Bring your eggs to room temperature before beginning the recipe. Slowly incorporate the sugar, don’t just dump it all in. After the meringue cookies are baked, turn off the oven and do not open the oven door. Let them cool completely in the oven for at least 2 hours. Silicon baking mat – this is my favorite baking accessory ever! I simply love it. Nothing sticks to it and it keeps my pans nice and clean! Decorating tweezers – those candy eyes can be tricky to place sometimes, but these tweezers help put them exactly where you want them! Candy eyes – these candy eyes make any food craft into an adorable food craft! I use these for everything! 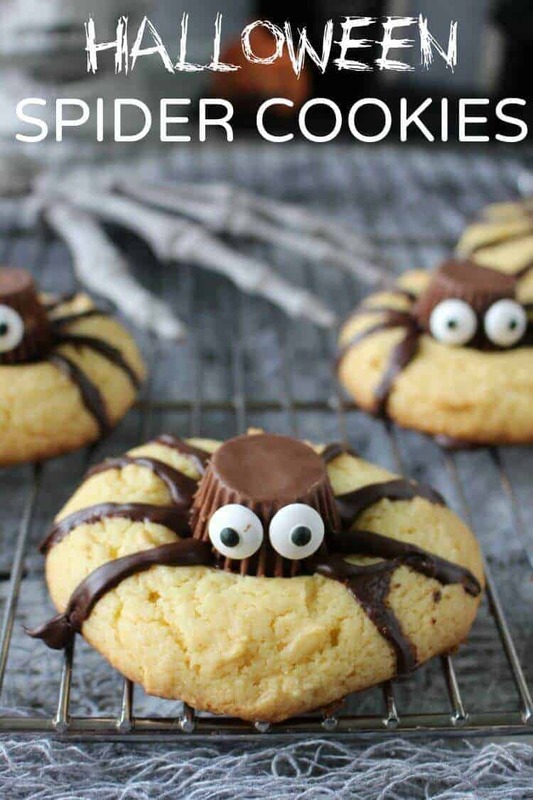 (check out my Halloween Spider Cookies). 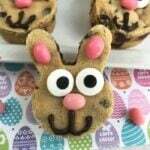 But, for this recipe, if you do not have them, you can also use mini chocolate chips for the eyes, as well as the mouth. But, if I were you…. they are much cuter with the candy eyes! Piping Tips and Bags – I used Wilton 2A round piping tip and pastry bags. They also sell a decorating starter set of tips and bag together in case you need different tips for future projects. 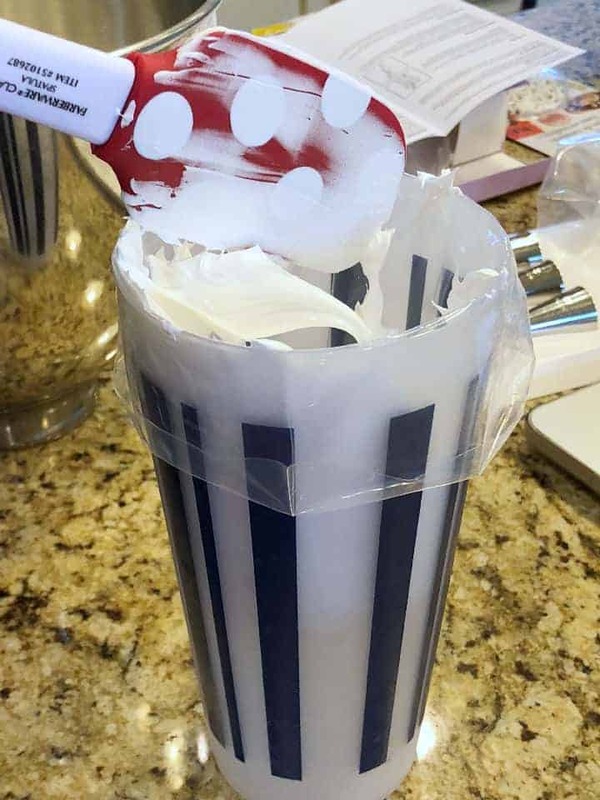 To easily get the meringue batter into the pastry bag, fold it over a large cup and use a spatula to spoon the batter into the bag! It makes a nice wide opening and helps with the mess! We just love these candy eyes! 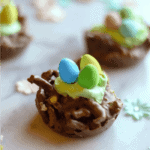 Check out some of our other cute desserts using them! 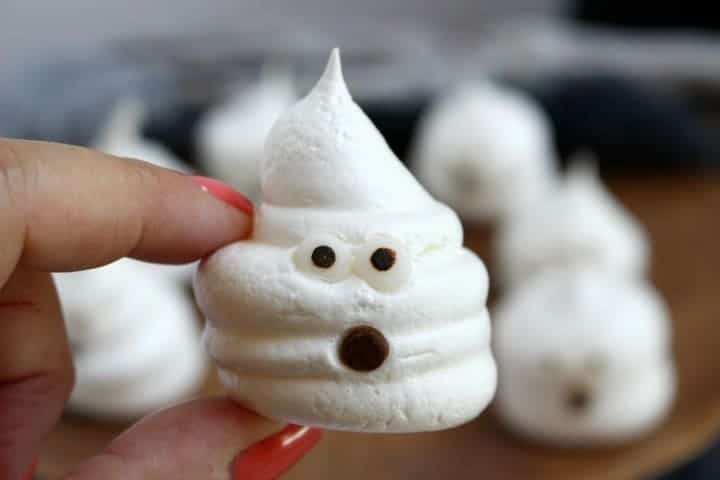 Like I said, these are so easy to make and every time I make them I get the perfect meringues. You can take this recipe and get creative with it and make other shapes and themes! We actually used this same recipe to make Alaskan Glacier Martinis and used the meringues as the floating glaciers! 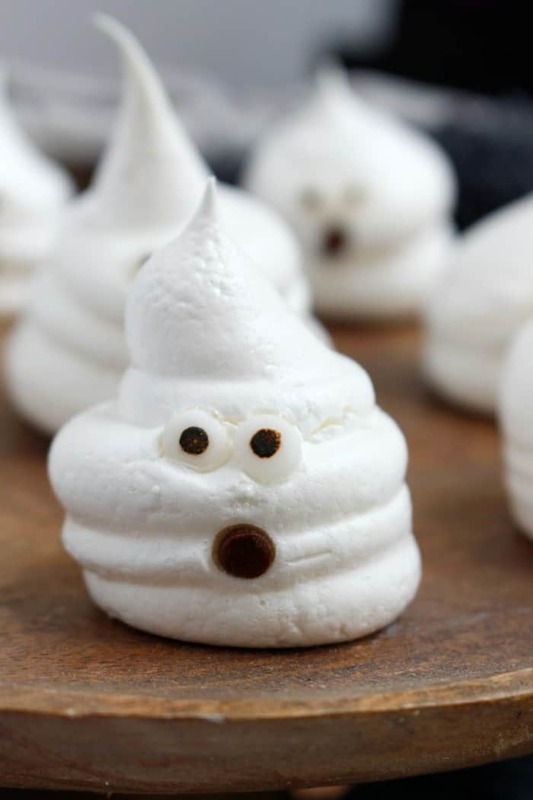 See our HOW TO MAKE MERINGUE GHOSTS VIDEO! Turn the mixer to high speed and with the mixer running, gradually add sugar, one tablespoon at a time, until sugar is dissolved and mixture looks thick and shiny and still peaks form (see photo above - it will take approx 5-7 min). 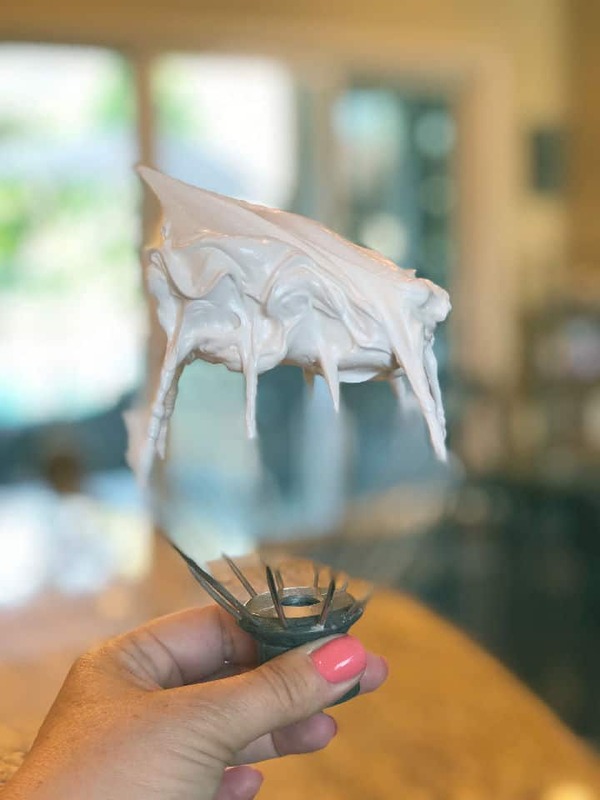 Spoon meringue into a piping bag with a round tip and pipe the meringue onto the lined baking sheets, spacing approximately 2 inches apart (the meringue cookies should not spread when baking, so don't worry if they are close to each other). If you don’t have a pipping bag, you can use a spoon to make mounds of meringue on the baking sheet. Place in the preheated oven and bake for 45 minutes, then turn oven off. DO NOT OPEN THE DOOR. Let cookies stand in oven for 1 -2 hours until completely cooled. 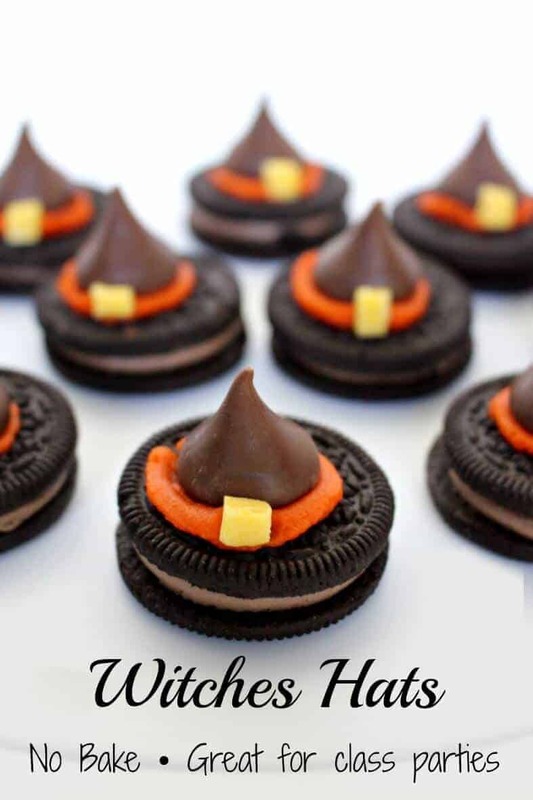 Oreo Witches Hats – easy Halloween treat ready in 15 minutes or less! Oreo Cookies, Hershey Kisses, Candy Melts and some icing and your are good to go! 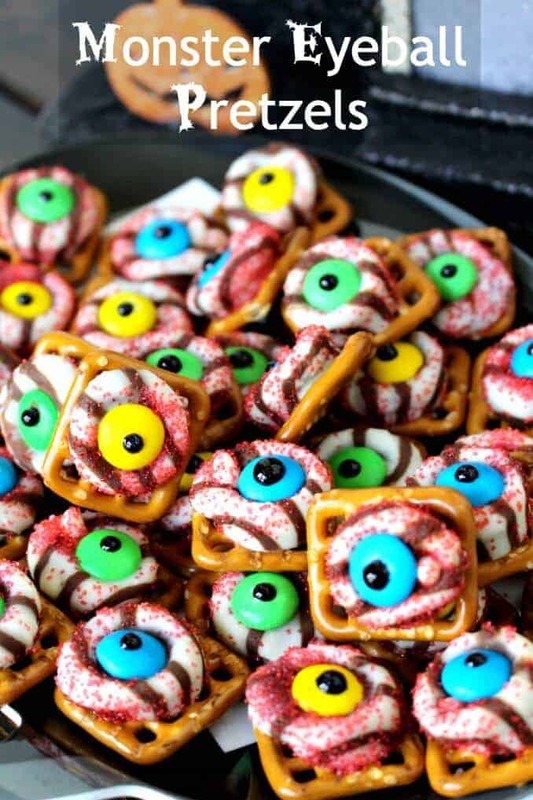 Monster Eyeball Pretzels – Easy to make and your trick or treaters will love them! 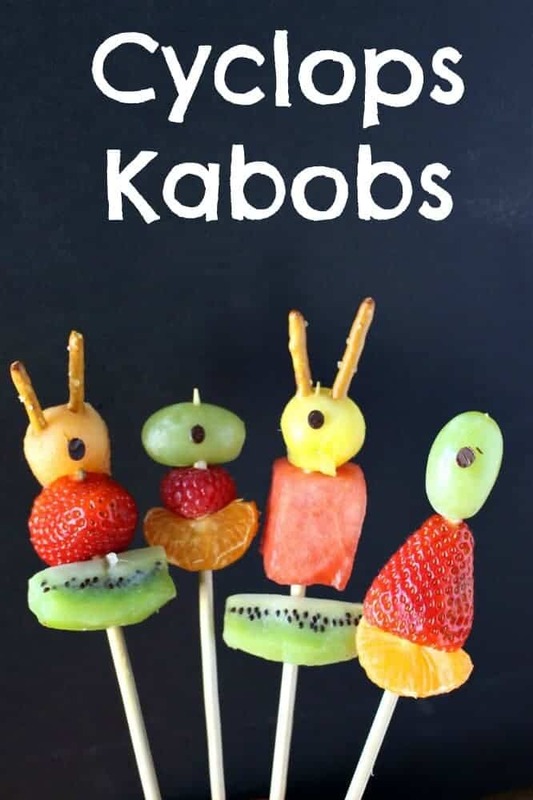 Cyclops Fruit Kabobs – Looking for a healthier option for Halloween. Your kids won’t mind eating fruit when it looks like this! I love the ghosts. Can’t wait to make them. Thinking ahead, do you have any ideas on how to make meringue turkeys for Thanksgiving? Would love to make them also. OMG I have to think about that one. Love the site but my computer doesn’t like it. Keeps hosing up and stalling. Also does not like to print as someone else mentioned. Can you shed some light on this please. Oh no!! That’s so strange! What browser are you using. I prefer chrome, but it should work fine in any browser. When do I put the candy on the goats before I cook or after? I am thinking you have to do it before. Help me please. Also do u have to leave in oven for two hours? 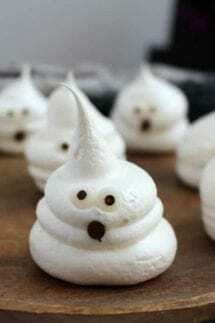 Hi Chris – you put the eyes on before and cook them with the meringues. Yes, you leave them in the oven for at least 2 hours with the oven off (don’t even open the door!) It finishes the cooking process!